Hey Australia! Win Tickets to See Cook Up A Storm in Cinemas! 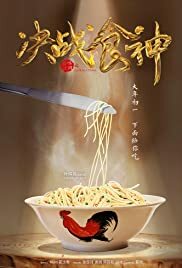 Basically this is a Chinese film with two very competitive chefs, one is a local chef in China and the other is a 3-star Michelin chef from Europe. I watched this movie for Jung Yonghwa, but turns out, he can't act in Chinese movies. Same with the other characters, almost all of them have bad acting skills. The voice overs and dubs are horrible, the plot is very shallow and almost makes no sense (but maybe the directors mean the movie to be funny). Transitions from one scene to another are very awkward and off. However, the cinematography and food look very nice. This is a cooking movie so the food should look nice.